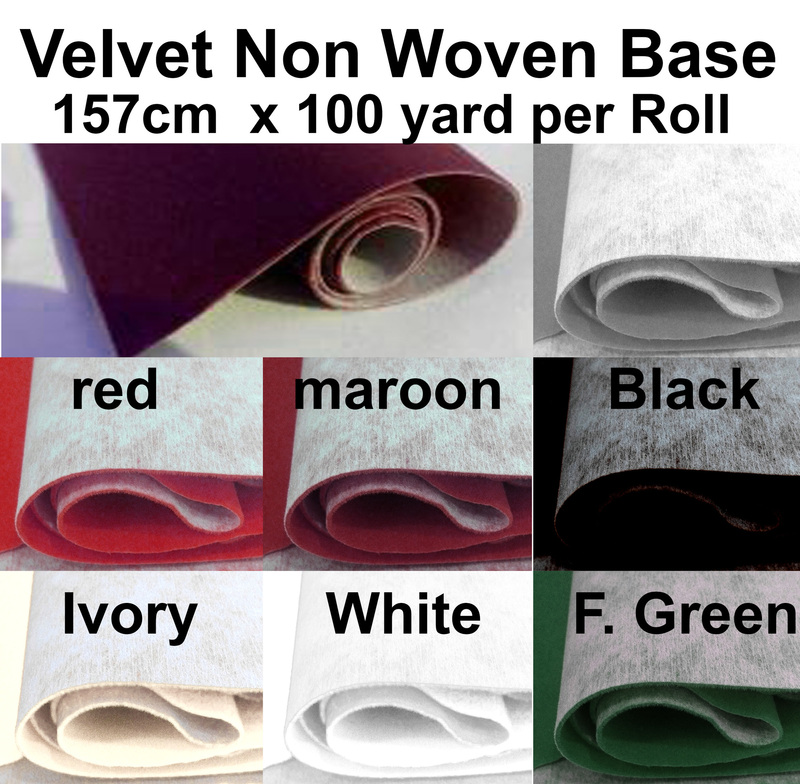 Non Woven Base Velvet , known as non paper base velvet material for covering use. Suitable for hardcover and packaging use. We sale in loose by yard.